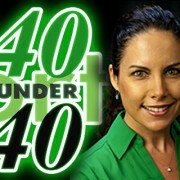 '40 Under 40' - Lindsay Hawkins - South Gate Brewing Co.
Lindsay Hawkins is originally from Kona, Hawaii and attended University at California State Long Beach where she graduated top of her class. 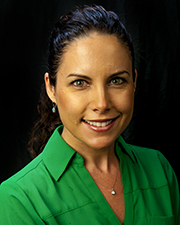 Over the years she has worked in the fields of marketing, publishing, hospitality and fitness. Seeking the space and solitude the Sierra Nevadas provide, in 2012 Hawkins, her husband Casey and their young daughter moved from their longtime home of San Diego to Oakhurst where they chose to pursue their dream of opening a microbrewery. Renovations on an old car dealership took a solid year of tireless dedication and in May 2013, South Gate Brewing Company opened its doors. Oakhurst’s first and only brewery houses a 5 barrel brew house along with a full kitchen and beautiful west-coast-style industrial chic restaurant and tasting room where guests can enjoy a full menu of creative and delicious pub fare along with outstanding beers created in-house by Brewmaster Rick Boucke. South Gate Brewing Company employs a fantastic handpicked team of nearly 30 employees, whom the Hawkins’ credit with truly conveying the spirit and joy of South Gate to each guest. This husband and wife team has created an exciting new business in the mountain area that is quickly gaining local and national notoriety. They are both thrilled to have created a place for locals and visitors alike to come together and enjoy a sense of community.